consists of many details in between. The professional design and build team at your construction company should go over each detail with you and make sure the process is as smooth as possible. 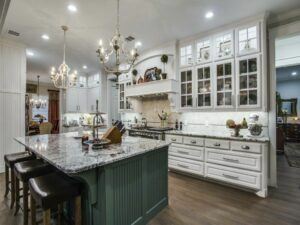 There are so many remodeling companies to choose from, so, why DFW Improved? You will find your project completed to your satisfaction when you hire a company that does everything from start to finish, and that’s exactly what we do. At DFW Improved, our motto has always been to leave it better than we found it. We want to achieve total client satisfaction, and even go beyond that for client loyalty. We believe in building relationships as strong as our homes. 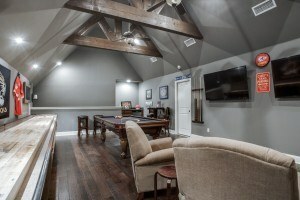 Many reputable organizations such as the Homebuilders Association of Dallas, D Magazine, Houzz and many others have awarded DFW Improved for superior residential home improvements. 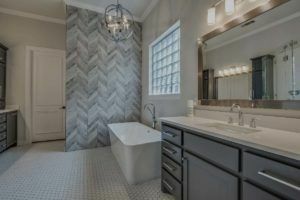 When you hire a DFW Improved design-build contractor, you are getting a professional who understands the entire project from the first consultation to the final walk-through. And, of course, they are dedicated to leaving it better than they found it! What is a design-build contractor? Learn More: Should You Use a General Contractor for Home Repair and Maintenance? At this meeting, you will tell your professional design-build contractor your visions and expectations of the remodeling process. From there, you will receive an estimate. You may be given more than one option as to how to obtain your final expectation. Having this vital information will help you decide when and where to begin the process of the remodel and how many phases you might need to accomplish your goals. Our goal is to keep you up-to-date with the remodeling process. Your project manager will let you know as each piece of the project is completed. They will also advise you if there are delays or complications regarding your remodel. Unless you work with insurance, licensing, and the city on a regular basis, you may not know when the regulations change. It is essential that your professional contractor stays on top of county and city regulations. Understanding these parameters will help avoid changes or delays in your remodeling process. When you hire a design-build contractor, you not only get a team of professionals and a point-of-contact project manager but a thorough process. You will be able to sit down with a design specialist at the design center to decide how you envision your remodel. This team will help you make choices based on your goals and your budget and will walk you through your various options. 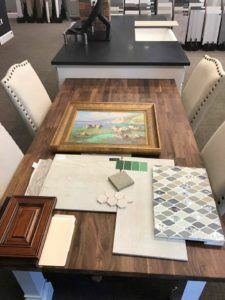 Visiting a design center will give you ideas and help you choose the right products for your remodel. You will be able to see first-hand how the materials and products look with your designs. You will be able to make practical and stylish choices with products that best fit your lifestyle and preferences. Most home remodeling projects start out with a dream. Pair that dream with the right contractor and budget, and you end up with the perfect combination. It’s vital that, as a dreamer, you have realistic expectations and understand everything that a remodeling project will entail. Construction is a field where even the best contractors can’t promise a perfect experience. We make every effort to deliver a seamless experience and exceptional product. There are, however, some elements that no one can control. We have the proficiency, competence, and expertise in our business to successfully deal with different circumstances that can arise. Communication is critical in every relationship. Our team is always ready to answer your questions. Our job is to take you through the entire scope of work, step by step. We are happy to explain why we are doing something or let you know how changing something mid-job affects the rest of the project. By asking and answering questions, we do our best to reduce issues that stem from a lack of communication. Our crew cleans up at the end of the workday, but you’ll still feel and see the remnants once we are gone. Dust, materials, and other construction debris are unavoidable. We can always use temporary walls and cover vents with an air filter for an additional cost. While this is not a total solution, these steps could lessen the severity of the mess. Construction is disruptive and noisy. Unfortunately, there’s no way around it. If you work from home, you may want to plan to go elsewhere throughout the project. If you have children, outings are helpful. Keep in mind that it can be very distracting to have people and tools screeching and banging in your home, so plan ahead and plan accordingly. review your Houzz profile, Pinterest boards, and give design guidance when requested. Time and money are precious commodities, and we’ll do our best to minimize them both. However, remodels need both of these to get a job done. Take a deep breath and do your research. Professional contractors strive for accurate estimates and time frames. If you change things (create a change order) mid-job, there’s a good chance it can add to your costs and timeline. Tip: Have a base budget, but add a reserve for unforeseen expenses or changes. It can alleviate stress if you’ve already thought about the possibility. Budgeting for 10 to 20 percent above the contract is usually a good rule of thumb. Also, be realistic in the beginning about how much a project “should” cost. Remember, there is a difference between getting a good deal and wasting your money on a cheap remodel. Did you know we offer great financing options in minutes? Weather, illness, material malfunctions, hidden structural issues, additions to the original job, and a variety of other unforeseen problems can extend your timeline. Clients with the smoothest remodel are resilient, prepared, and communication remains consistent. Tip: As with the costs, tack on a reserve of time, just in case the unforeseen happens. You could face any number of surprise circumstances, from permitting & existing unforeseen code compliance issues to outdated plumbing and wiring. While it may set you back slightly, making necessary repairs will give you a safer and more efficient house in the end. The remodeling process is exhilarating, terrifying, exciting, and stressful. You’ll most likely run the gamut of emotions as you have people swarming your house and disrupting your day-to-day routine. We do everything we can to minimize the chaos and anticipate unforeseen events. Remember, the ride will come to a complete stop. Life will return to normal, and you will finally be able to enjoy the finished product! Before we can say, “it’s done,” you’ll most likely need to check off a few last items on the punch list. A punch list is a list of things that need finishing before project completion, such as touch-ups, repairs, or fine-tuning. This not only ensures that we leave your home better than it was when we first saw it, but that you are completely happy with all of the changes. Invite friends, family, and our team—it’s time to show off the results of your remodel! A party is an ideal way to blow off some steam and settle in to your new space. Let people sympathize with the process, and do the big reveal. It makes it all worth it. 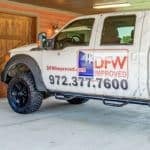 At DFW Improved, we know your home deserves to be the best version of itself for you and your family. 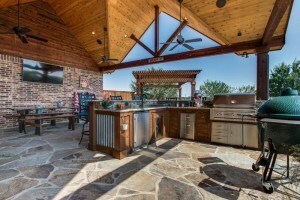 We do everything from multi-generational room additions and full-service kitchen and bath remodeling, to outdoor kitchens and living spaces, and even that high-end media room you’ve always wanted. Whatever season of life you are in, we would love to help you make your dreams a reality. We know there are a lot of choices for home remodeling contractors. But whatever you do, avoid a significant makeover mistake and be sure to hire experts that understand your vision and can help make your dreams come to life. Welcome home! Whether you’re interested in an addition, remodeling your kitchen, or building your dream home, you’ve come to the right place!